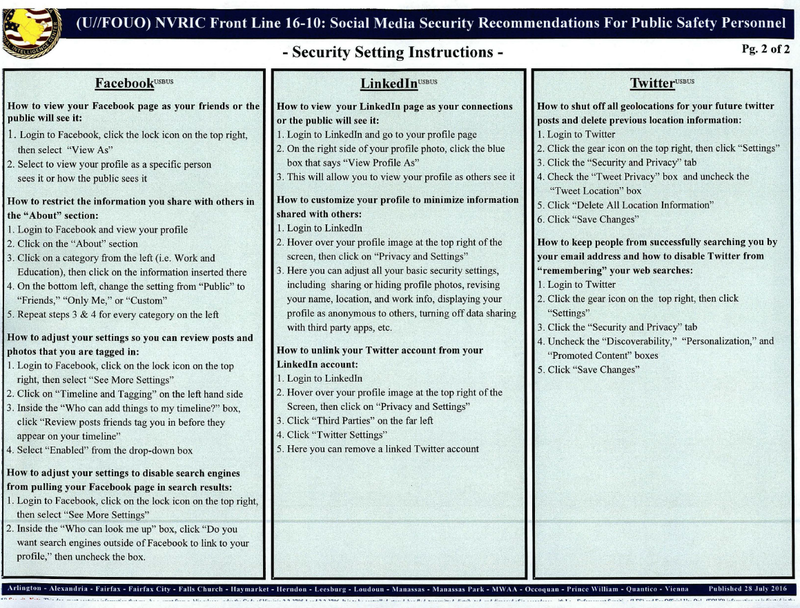 • (U) Public Safety personnel are urged to use caution when sharing information via social media. With recent officer-involved shootings around the country, those who support attacks against public safety affiliates can gain access to information shared online and may use it to condone violence. 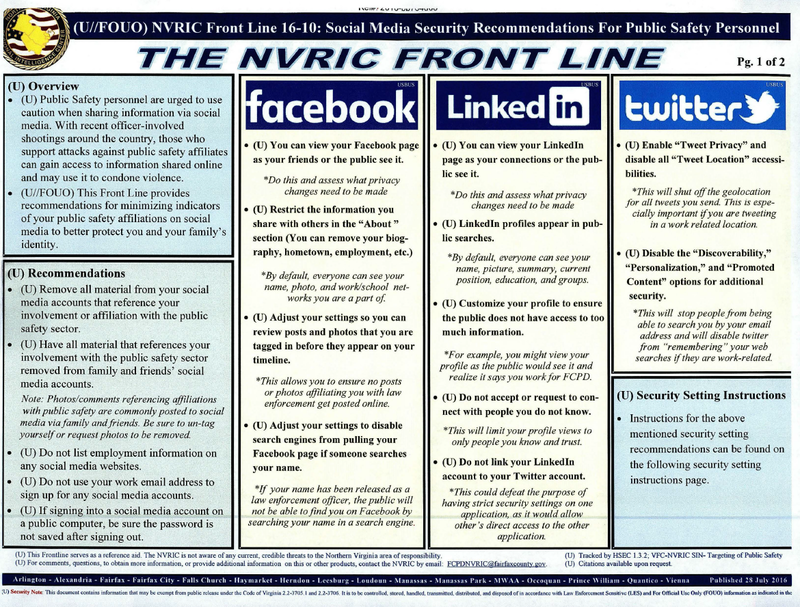 • (U//FOUO) This Front Line provides recommendations for minimizing indicators of your public safety affiliations on social media to better protect you and your family’s identity. (U) Remove all material from your social media accounts that reference your involvement or affiliation with the public safety sector. (U) Have all material that references your involvement with the public safety sector removed from family and friends’ social media accounts. (U) Do not list employment information on any social media websites. (U) Do not use your work email address to sign up for any social media accounts. (U) If signing into a social media account on a public computer, be sure the password is not saved after signing out.